Netflix really hit it out the park with You, the show became an instant hit thanks to its creepy storyline and quickly became one of the platform’s most streamed shows. If you’re yet to indulge there will be spoilers ahead, so you may want to look away now. For those still with us, season one saw a pretty sinister ending, at least if you were Joe Goldberg’s latest romantic target Beck, who paid the ultimate price for his obsessions. 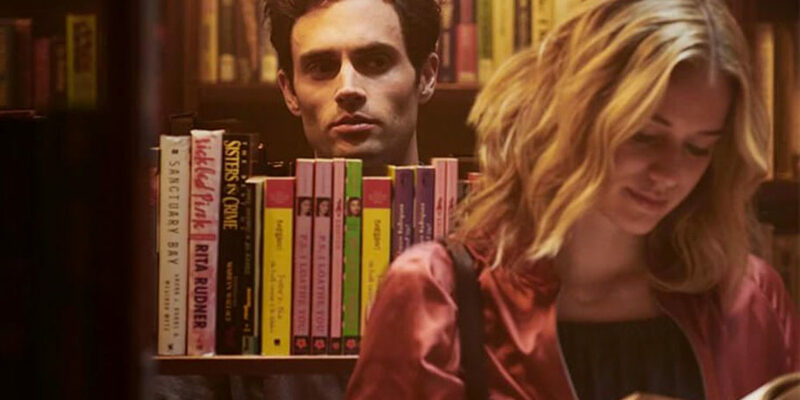 With Elizabeth Lail’s character seemingly out of the picture, Netflix has completed its search for the unlucky lady who may become Joe’s next ‘romance’. Victoria Pedretti has won the role of Love Quinn for the second series, a familiar face for anyone who dared to watch Netflix’s Haunting of Hill House. The show’s creator Sera Gamble is clearly excited about the casting too. She told Entertainment Weekly: “It is very f***ing cool that Victoria is playing this role. I binged Hill House, and she was incredible. Love is an aspiring chef who works as a produce manager in a food store. Apparently she won’t have the interest in social media that Beck had either, which could make things tricky for Joe. It’s not clear yet whether Quinn will become a new love interest for Joe or just a new friend. Gamble recently spoke out about the “disturbing” reaction to Joe’s character after a lot of viewers seemingly sympathised with his actions. You know, despite him being a murderous stalker.